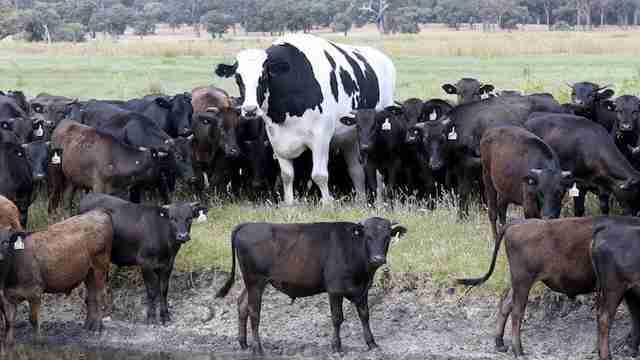 There’s no denying that this cow stands out from the herd. 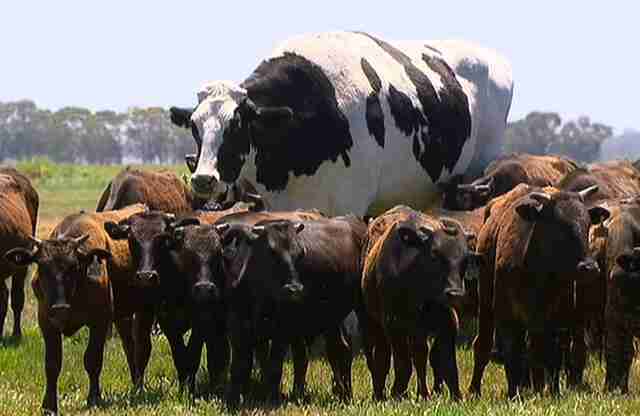 Towering over his cow friends at 6 feet 4 inches tall, Knickers the Holstein is a lovable giant who stole the hearts of people all over the world this week after his story went viral. But the truth behind his story is much more heartbreaking, says Susie Coston, national shelter director of Farm Sanctuary. 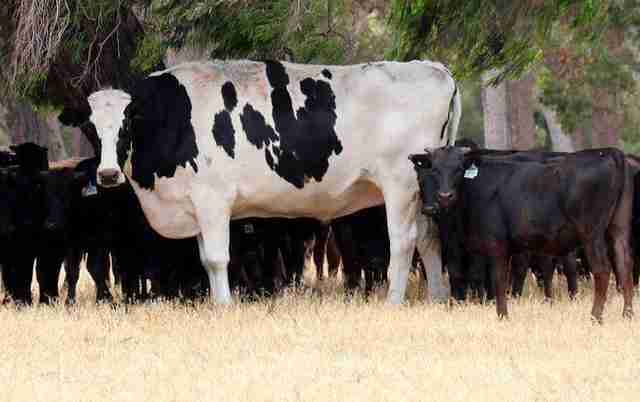 Knickers actually isn’t a giant — it’s just that people don’t usually get to see an adult, full-grown Holstein like him. They’re usually slaughtered right after their second birthdays, Coston said. If a Holstein does reach adulthood, like 7-year-old Knickers, then they’re simply too large to fit through the butchering equipment. That’s the reason Knickers has been spared by his owner, Geoff Pearson, a cattle farmer from Australia. Pearson says the steer is the clear patriarch of his herd, often showing the smaller cows where they should walk and graze, and protecting them from danger. 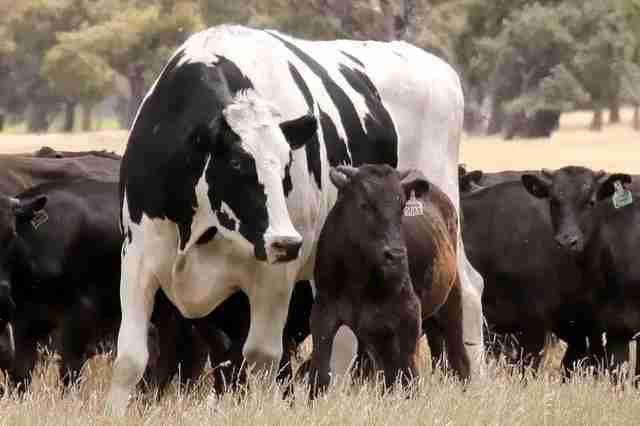 In Coston’s experience, Holstein steers are some of the gentlest and sweetest animals — and often become herd leaders because of it. But Knickers’ role will likely have a devastating toll on him, Coston says. Since cows form such deep bonds with their herds, losing a member can be very upsetting for them. Coston is sure the same thing goes for Knickers — time and time again, year after year. While thankfully Knickers’ life will be spared, Coston hopes his story can help educate people about how emotional and caring all cows are. Big or small, they love their hooved families all the same. To help Holsteins and other cows, you can make a donation to Farm Sanctuary.